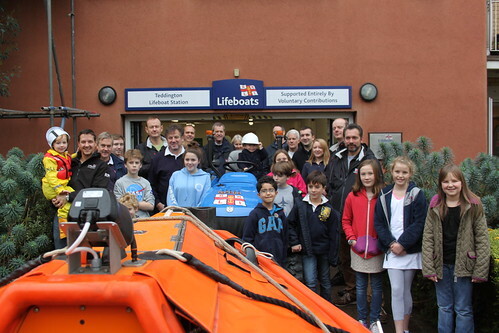 Over the last couple of weeks, we’ve learned a fair bit about the RNLI lifeboat station at Teddington in London. We’ve talked about the fantastic reception that the little guys received and about the station itself. But what we’ve not really looked at, though, are the station’s lifeboats. So it’s time now to rectify that. Unusually, the station has not one, but two, D class inshore lifeboats. 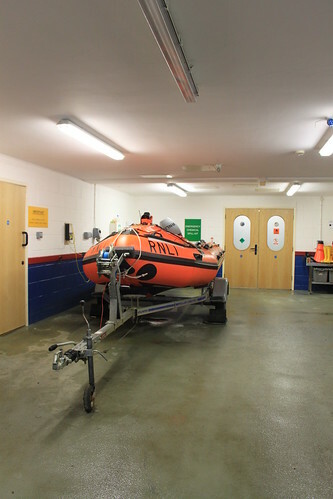 You quite often see stations with an all-weather lifeboat and a D class, of course, or even a larger Atlantic inshore lifeboat and a D class. But to have two D classes is quite unusual. In fact, Teddington started out with just the one, but the demands of its operational area meant that the first lifeboat was quickly joined by a second. 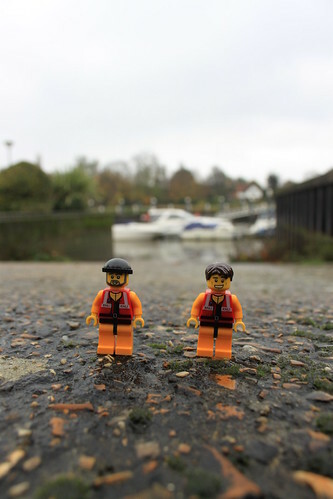 The boats, named ‘Olwen and Tom’ and ‘Spirit of Mortimer’, are housed in the large garage-like boathouse that we talked about last week, which is situated on the ground floor of a block of flats next to the River Thames. 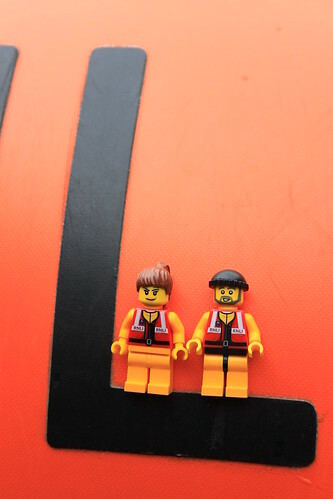 Like all of the 150 or so D class lifeboats in the RNLI fleet, the Teddington boats are five metres long, have a crew of three and a top speed of 25 knots. Just right, in fact, for undertaking speedy rescues on the river. Launching is quick. Simply come out of the boathouse, turn left and there’s a slipway right down to the river. 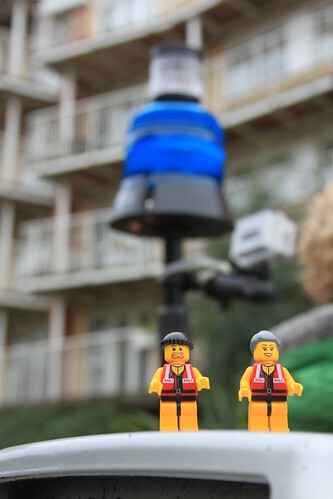 The Teddington crew aim to be on scene within just minutes of their pagers going off. This is relatively straightforward if the shout is downstream, but more challenging going upstream as the crew first have to negotiate Teddington Lock. Is this the world’s shiniest tractor? It’s uncommon, apparently, for both lifeboats to be launched to the same shout. Rather, the second boat is there in case there is a second shout while the first boat is already tasked to assist a casualty. Especially if the second casualty is on another part of the river. 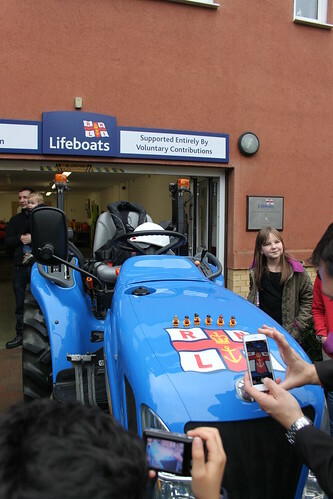 While the Teddington crowd were otherwise occupied, crew member Steve attempted to make a quick get-away on the unattended tractor. However, he was quickly spotted and restrained. With our visit coming to an end, it was time for the Crew (and me, Natalie and Molly) to say our goodbyes. 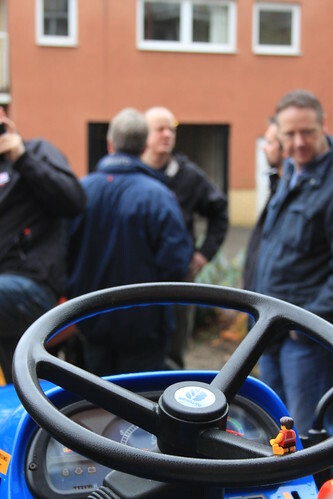 We really had been astonished with the warm welcome that we had all received. And the Crew really did have an ‘L’ of a day out. Especial thanks to Teddington crew member Claire for organising our visit, but also to the whole crew and their families for making us feel so welcome.